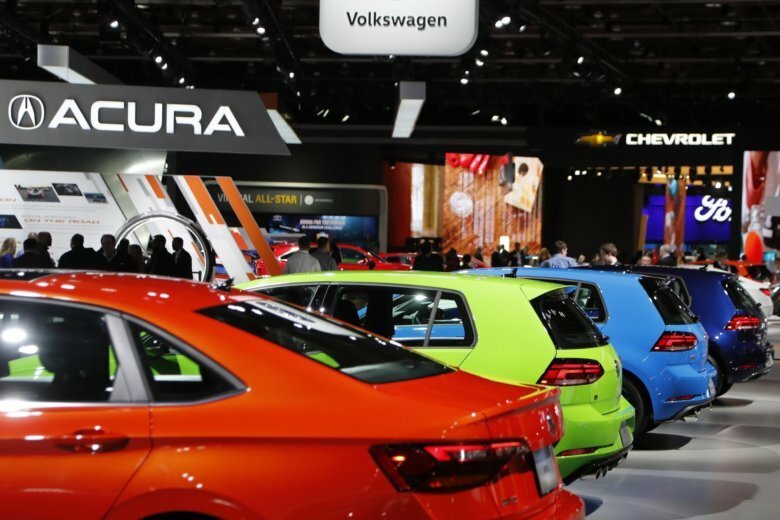 DETROIT (AP) — At first glance, this year’s edition of the North American International Auto Show might look like any other from the past: gleaming vehicles, bright lights and flashy displays trying to lure spectators to their offerings. But after traversing Cobo Center’s massive exhibition space and ticking off the automakers, you’ll notice what’s not there: namely BMW, Mercedes, Porsche, Audi or Mazda. Those brands had been mainstays of the Motor City’s celebration of the auto industry, which opens to the public on Saturday. But they are pulling out not just from Detroit but shows worldwide because of a bad date for their vehicle launch cycle, a declining bang for their buck, or bigger buzz from solo events or digital campaigns that go straight to consumers. Detroit auto show Chairman Bill Golling is helming the city’s last winter show before NAIAS prepares its move next year to the more weather-friendly month of June. Representatives for the auto shows in New York, Los Angeles and Chicago say they don’t release attendance figures. A spokesman for the New York show would only say that it has drawn more than a million attendees every year for the past 15 years, and Los Angeles says hundreds of thousands attend annually. Chicago Auto Show General Manager Dave Sloan says attendance is “pretty consistent,” but BMW and Mercedes-Benz have pulled out of next month’s show. He’s quick to add that others, such as Jaguar Land Rover, are increasing their show floor space. Still, the overall trend continues for companies to explore other promotional paths, and “not just for auto shows but globally in all different industries,” said Sam Abuelsamid, a senior analyst with Navigant Research. Detroit-based General Motors got good exposure for the 2016 Chevrolet Equinox small SUV outside of any auto show. GM President Mark Reuss said “it’s hard to get the right exposure in the right medium” at an auto show, but he sees a balance. “For us, it’s a must,” VW CEO Herbert Diess said. He acknowledged that “shows are declining” globally, but affirmed the automaker’s decision to stick with the Motor City.